Alright, today I have successfully implemented shadow mapping. The Mesh can choose if it wants to cast shadows and receive shadows for performance control. As if you had e.g. 5000 instances of grass, you may not want all instances to cast shadows, or something like that. The previews are probably gonna come up soon as it’s almost done, a screenshot or a small video. My next goal is going to be Ambient Occlusion or something like that, as my post processing shader is set up. I just though I would share this tip to you guys, as it could become useful! Next to go, the hlsl shader! 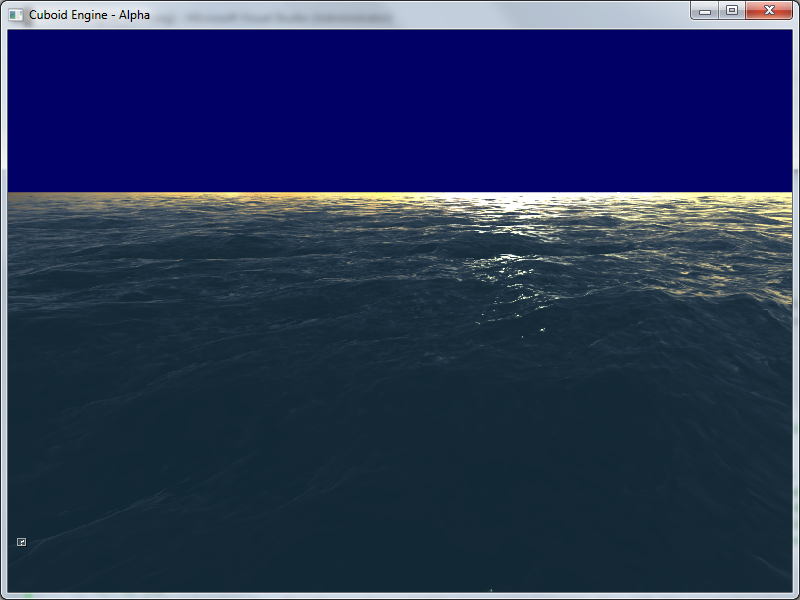 Another feature I’ve implemented today is Skybox rendering, I don’t have a screenshot right now as it’s incompatible with the ocean rendering, I’ll post it later.